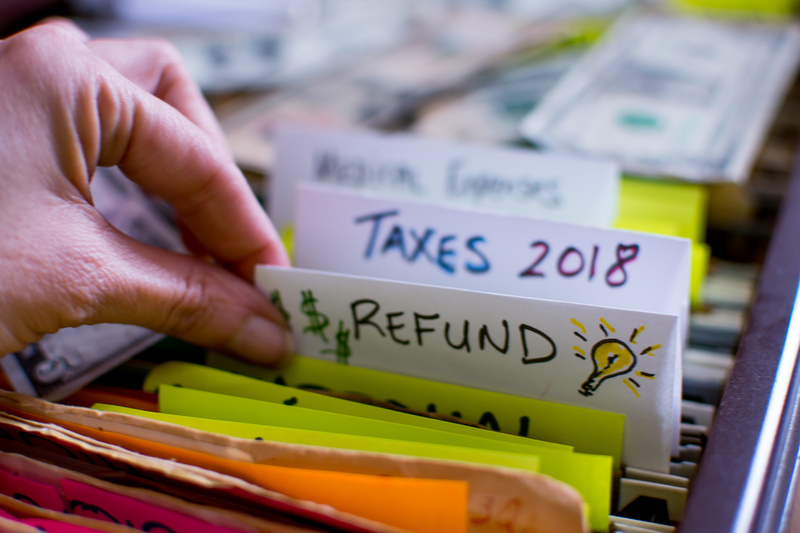 For many people, tax season can feel like the adult equivalent of waiting for Santa as you think about what you can do with your tax refund. If your tax refund is a meaningful amount of money, you should think carefully about how you want to use it. It’s OK if you end up deciding treating yourself to something nice is in your budget, but consider these options first. You can use your tax refund money to make your refund even bigger if you haven’t already maxed out your traditional IRA. Let’s say you’re expecting to get $1,000 back. If you put it into a traditional IRA, you may get another $1,000 deduction. If you’re in the 12% bracket, that’s an extra $120 back. If you’re in the 22% bracket, that’s an extra $220 back. The easiest way to do it is if you have extra money in your checking or savings account and can make the contribution before you file. However, if the only money you’d be able to put in is from your tax refund, you’re not out of luck. You can include a planned contribution on your tax return as long as you put the money into your IRA by April 15th. Note that refunds can take 2-3 weeks to process, so you really want to file your return by mid-March if you’d need your refund money to do this. Whether or not you can get an extra deduction for this year, investing for the future is almost always a good thing. You can get ahead on next year’s IRA contributions, open a taxable brokerage account, or leave the money in your checking account so you can boost your 401(k) contributions at work. If you choose a tax-deductible retirement account, that will help you boost your refund next year. Do you have enough in savings to cover unexpected car or home repairs, medical bills, or a job loss? If not, pretending you never got a tax refund and stuffing it into savings is a smart move. The easiest option is to put the money into a standard savings account to help the money grow until you need to use it. If you want to increase your potential interest earnings and make the money a little harder to get to when you don’t really need it, CDs are another good option. CDs give you a higher rate for locking your money in for a fixed number of months. If you build a CD ladder, you can spread out when your CDs mature so you always have a little extra money available if you need it and can roll it back into a CD if you don’t. Paying down debt is another good option since you get a guaranteed return equal to the interest you’re saving. Simply pick your credit card or loan with the highest interest rate, and put your tax refund towards it. One catch is that you might want to build up your rainy day fund first especially if your debt is a lower-interest-rate car loan or mortgage. This could help you to avoid running up higher-interest credit card debt if you have an unexpected expense or leave you with money to keep making your mortgage payments if you lose your job. Keep in mind that your tax refund is from you paying the IRS too much in taxes during the year. Instead of giving the government an interest-free loan, you may want to put your money to work for you sooner so you’re the one earning interest on it. To do so, look into reducing your tax withholding, and then budget the extra money from each paycheck towards whatever you chose to do with your tax return.